There is nothing more rewarding than seeing our patients happy. It’s what keeps us going each day. If you like to contribute to our testimonial section, please email it to us at info@alanliudds.com. Thanks again to all our loyal friends. Dr. Liu is the best dentist I have ever known. He is very professional and very good at what he is doing. He never rush my appointment like some other Dr., he takes his time to do the best for my dental care. He also spent time to get to know each patient, so when you are there, you feel like you are part of this big family and not just a customer. All the staffs are very nice and friendly ALL the time which is not easy for a practice!And I have been a patient there for few years. They are wonderful EVERY time I was there. I live in Redding, and I drove 4 hrs to be in El Cerrito to clean my teeth. Because I would have not choose any other place than Sweet Home Dental Care, because they are truly the best. I don’t have insurance so every time I go there, I got my 10% discount by paying cash. Who doesn’t love that? Dr. Liu speaks several languages which help a lot when my english isn’t that good. Highly recommended!! Love Love Love this place. Give them a chance, I am sure you will fall in love with this place like I do. 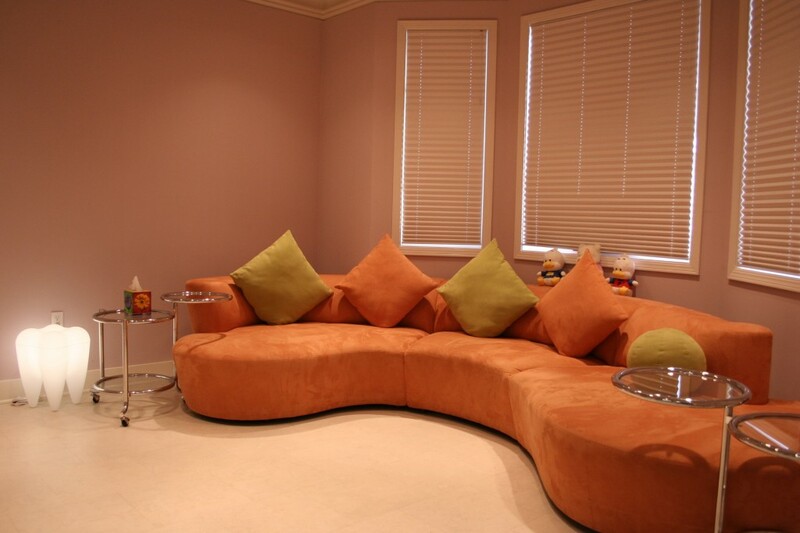 I loved this dental office the minute I walked in–violet walls, orange couch & ‘giant hamburger’ pillows. And it all works! Alan Liu & his lovely assistants have been a pleasure to know & I’ve been treated wonderfully. I actually look forward to going to my dentist. Alan encourages prevention, compliments you when you keep up your good habits & NEVER pushes any unneeded dental work. I could not be happier with my dentist & his staff! Very professional, friendly, and efficient. What more could you ask for? loveeeeeeeeeeeee Dr. Liu and his staff. everybody is SUPER friendly and they talk you through every single step. having a tv in front of you definitely makes things more entertaining. the place is super clean and the lobby is super cute. you feel welcomed the moment you step in and the staff definitely puts you at ease. Wow!!!!! Dr. Liu and his staff rock!!! A family friend referred Dr. Liu to me as I was in SEVERE pain due to my wisdom tooth needing to be removed. Within minutes he called me to set up an appointment to come in the very next day. ( He even stayed late to accomodate me!) I must admit I was VERY scared of having my wisdom tooth removed and had heard about close friend’s and families terrifying experience having this procedure done. After he performed the X-rays and took a closer look, he advised I needed to have my tooth removed by an experienced oral surgeon to prevent any complications as the cavity had now almost damaged the nerve. He arranged for Dr. Jennifer Liu to take a look and to see if she could help me ASAP!. Dr. Jennifer Liu is very knowledgeable and quickly got everything in order to remove it. The whole procedure took less than an hour, and she removed not 1 but 2 widom teeth!!!!!. Later on that night, after the surgery, she followed up by texting me to make sure I was okay.And also had me come back in the office a week later to make sure that my mouth and gums were healing okay. I can’t say enough about Dr. Alan and Dr. Jennifer and staff!. They are great! I’d definitely say as good as it gets~ Went in for a routine check up, x-rays, and cleaning. 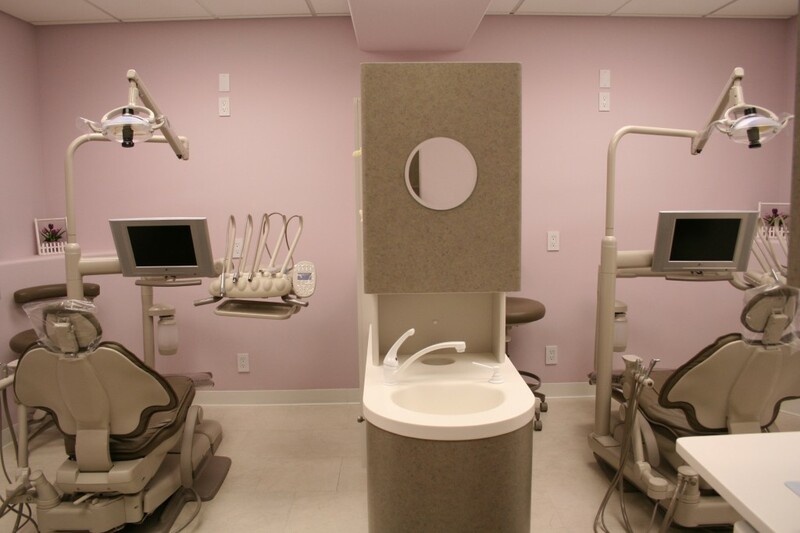 Both the hygienist and Dr. Liu himself are super friendly and personable. 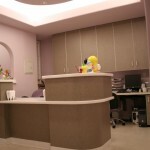 Clinic is clean, comfortable, and high tech. Really relaxed, patiently explained, and gave a lot of information and advice~ Cleaning and scraping and probing and all that was really careful and gentle, not at all painful. I’ll be back in six months! I went on the web to find a dentist to have a tooth extracted. I was checking out prices, and making phone calls to all of the oral surgeons in the area. Not only was Sweet Home Dental Care the best price, but the doctor Alan Liu was fantastic. He was very personable, smart and caring. He gave me a free exam and then an additional 10% off. REALLY nice and helpful staff. I really like the idea of a dentist being able to do multiple dental procedures; I had already spent $325 on 3 different specialists. The staff is incredible too. Thank you Dr. Liu. I had to have a tooth extracted and I went on the web to find out how much it would cost by calling all of the oral surgeons in the area. Not only was it the best price but the doctor Alan Liu was fantastic. He was very personable, smart and caring. He gave me a free exam and then an additional 10% off. Dr. Liu is knowledgeable, gentle and responsive. He has been my dentist as well as my sister’s for a few years now. Unlike other dentists, he never tries to oversell you with dental services you don’t actually need. He is also patient and answers your questions. Most importantly, if you call or email after hours when you have an emergency, Dr. Liu responds to you even if it’s the weekend or holidays. In this day and age, when doctors no longer care and are generally not reachable or available, it’s really refreshing to have a doctor who cares. I had the bonding on my front tooth come off during a holiday weekend. Even though it was not painful or bleeding, I found it embarrassing, and was so grateful that Dr. Liu called me right back and fitted me in to see him on the next business day. It put me at ease and saved the holiday. I know that he has also done this for people who were not his existing patients at the time they called him. My sister and I now live in South Bay but Dr. Liu’s skills and attitude make it worthwhile for us to travel 50 miles each way to see him. Dr. Alan Liu provides outstanding, pain-free work. For someone who is afraid of the dentist and prefers to avoid it altogether, it was great to have major dental work completed by such a respectful, kind, informed doctor. His attention to the patient and sharing information on the treatment plan, options, etc. is comforting. His staff is very helpful with insurance issues and they provide you very accurate cost estimates before work begins. The office is inviting and relaxing. 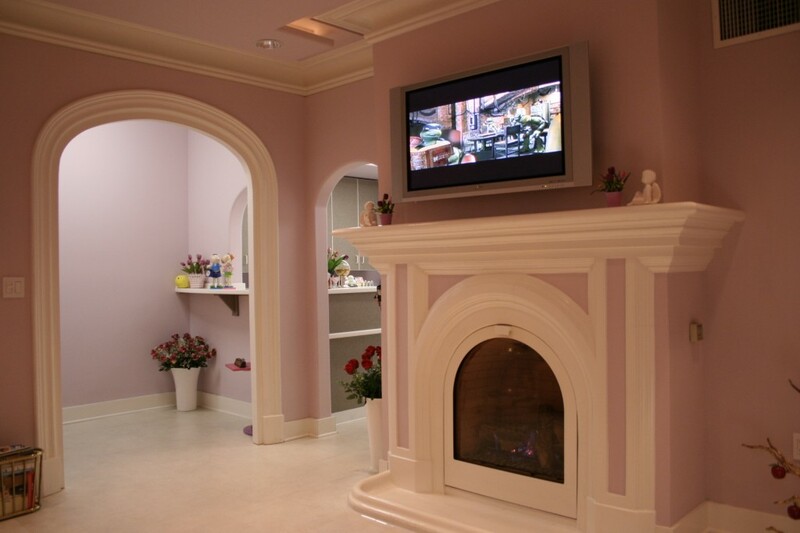 The TV’s you can watch while receiving dental work help you feel more at ease. I especially love the new releases! 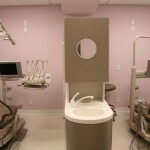 Dr. Alan Liu and Sweet Home Dental are true gems of the Bay Area. I became Doctor Liu’s patient two years ago when I moved to El Cerrito. So far my experience has been very pleasant. In particular I appreciate Doctor Liu’s patience in explaining the diagnosis, proposing different solutions and laying out the pros and cons of each of my alternatives. This way, I always feel that I made an informed decision, and have no reason to think it over or regret it. The doctor and the office staff are also very polite and friendly, another good reason to choose Doctor Liu. Dr. Alan Liu and Vicki are the best. I went for a consultation to get my wisdom teeth removed. He was patient, knowledgeable, and thorough with each step and procedure. He explained every step and answered any questions without rushing through the process. The state of the art technology was also quite impressive. We have been searching for a good dentist after moving here and he is definitely the one. 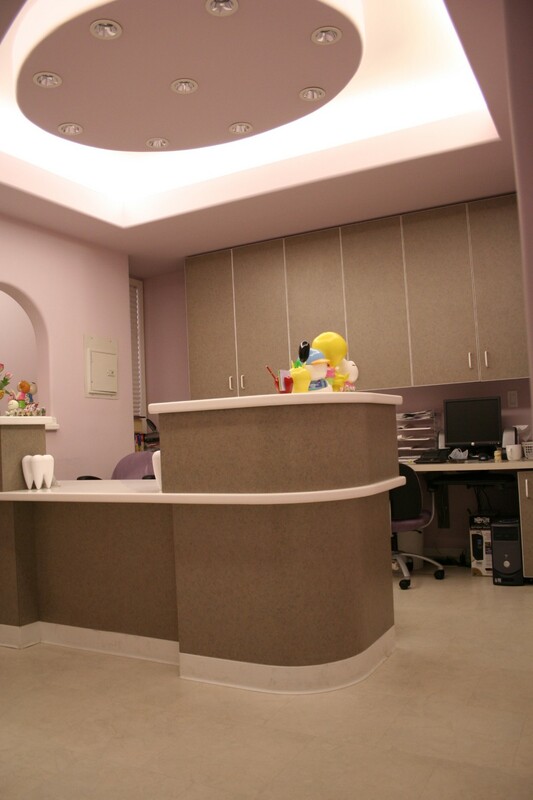 You will feel like you have been welcomed Home at Sweet Home Dental–Dr. Liu’s office. This is a class act office. I feel so relaxed from the homey atmosphere and office personnel service; to the level of treatment, education and communication practiced by Dr. Liu. Over the years I remain an impressed patient. My Children’s Father was a Dentist where I was involved; in Dr. Liu’s office they bring all the components together to make the best dental office in the Bay Area. Wow! Dr. Liu and his staff are wonderful! They do the best work! I had walked in a couple months ago with throbbing pain and was told that I needed a root canal. To be honest, I was sooooo scared. I work in the dental field myelf but have never needed a root canal before. Everyone I knew was telling me how much it was going to hurt, and about how terrible an experience they had had. So when Dr. Liu told me a root canal was needed you could just imagine what was going through my mind! Before and during the procedure Dr. Liu and his assistant were keeping me informed, letting me know in detail what was happening and what result we would get. After he was done, I was like, that’s it? really?? Dr. Liu did such a wonderful job! I didn’t feel a thing during the procedure and little to no pain the following days. YAY!!! I just went back for my full exam and had my cleaning done. Again, the staff was wonderful! They were nice and gentle and Vicki does an excellent job at explaining my insurance and cost breakdown for me. It’s great to be able to go somewhere where you know you are in GREAT hands! Dr. Liu and his staff provde A+++++ dental care, their office is very cozy, they offer Saturday hours, they have high tech equipment, and let’s not forget that you can catch up on your latest action videos while you’re getting your treatment done! I would definitely recommend Dr. Liu at Sweet Home Dental Care to everyone! I’ve been seeing Dr.Liu for a few years now, and I have to say that I look forward to going to the dentist! He does all the cleaning himself, not a dental hygienist, and he is really mellow and sweet. 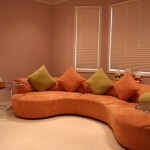 Best of all, you can make appointments by email! He is really understanding of my needle phobia, which enabled me to have all my old metal fillings taken out and replaced with composites over a period of a few months.